Welcome to the website of Theberton and Eastbridge Action Group on Sizewell [TEAGS]. Stage 3 consultations for Sizewell C & D took place from 4 January to 29 March 2019, and EDF could be applying for planning consent within 12 months. Watch our “Sizewell Hero” video below, and then click Take Action to send a message of concern to EDF. EDF’s plans to build two new nuclear reactors at Sizewell in east Suffolk will have a devastating impact on this unique and magical place, and especially on the villages of Theberton and Eastbridge and the local environment. 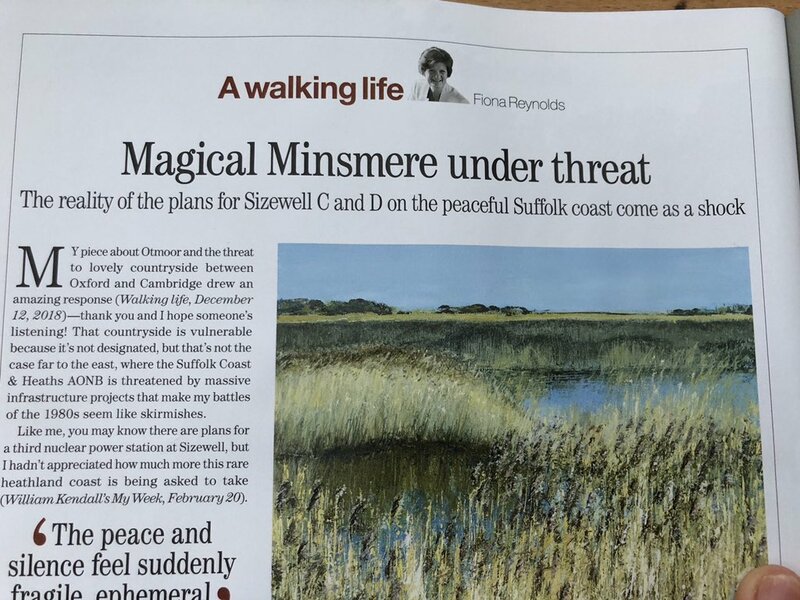 The construction of Sizewell C&D must not be allowed to destroy the lives of local residents, or the qualities that make this area of Suffolk, and the Minsmere Reserve, so special and so popular with visitors: the peace, tranquility, dark night skies, beautiful landscapes, fragile coastline and rich wildlife. 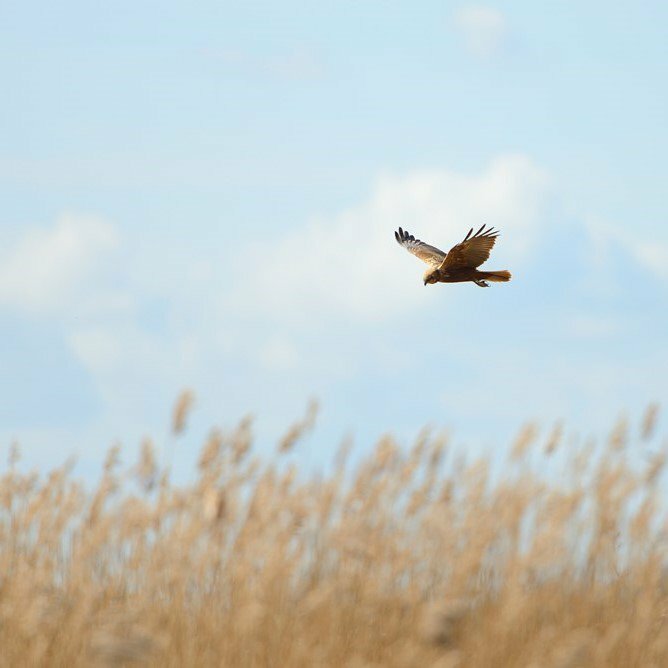 We oppose the building of what is effectively a new town for 2,400 construction workers so close to Minsmere and the tiny, peaceful hamlet of Eastbridge, and the route that EDF has chosen for a relief road. Given the lack of detail in EDF’s proposals, TEAGS has joined other groups in calling for a further stage of consultation. Visit our News Section for the latest updates and media coverage, check out our social media feeds below, and to find out more about who we are, visit Contact Us. The EA cites a lack of detail, un-started assessments, inappropriate use of environmental law processes and mitigation processes simply not specified when these are required to adequately assess the proposal. The comments echo what other statutory consultees, including County, District and Parish Councils, relevant NGOs, such as RSPB and Suffolk Wildlife Trust, and other local groups including Suffolk Coast Against Retreat, TEAGS, MLSG and B1122 Group have been saying at all three stages of this consultation process. EA points out that environmental permits have to be applied for 6 months in advance of any DCO application which gives EDF very little time to start and complete all the assessments required in order meet its own timetable of a DCO application in Q1 2020. They also re-iterate the 25 Year Environment Plan to “embed environmental gain” into these sorts of projects and cast doubt that this is achieved in the existing proposal. Given the criticisms in this response along with the above organisations conclusions regarding the inadequacy of the Stage 3Consultation, EDF should stop trying to railroad this project into East Suffolk. EDF should ensure they satisfy their own Statement of Community Consultation by completing the works referred to, engage in a proper Stage 4 public consultation and delay its application for a Development Consent Order until such a process has been properly entered into with the public and the new East Suffolk District Council. A row erupted in France yesterday after it emerged that EDF's board will discuss plans to renationalise the group's nuclear activities and split them from the rest of its business. Unions reacted with anger to what they depicted as the first step towards the dismantling of the energy group that is building Britain's new reactors at Hinkley Point in Somerset. The board is due to review the restructuring plan next month before presenting it to senior managers and union representatives in June, according to a source. The scheme involves the creation of a parent company to run the group's 58 reactors in France, as well as new ones that it may build. This part of the group could be renationalised, rolling back the partial privatisation of EDF in 2004, which left the state with an 83.7 per cent stake. Most of the rest of the group's activities then would be placed in a subsidiary that would continue to seek private investors under the plan, which has been codenamed Project Hercules, according to the newspaper Le Parisien. People close to President Macron, who has the final say, claim that he broadly supports the idea, but may backtrack if the price of compensating shareholders proves to be beyond the means of France's hard-pressed state budget. A fierce union reaction also could prompt him to retreat, commentators said. Although a source insisted that the restructuring would have no direct impact on Hinkley Point, it is likely to create short-term uncertainty for EDF Energy, the group's British division. EDF is struggling to meet the cost of renovating its ageing French nuclear fleet, which is estimated at between €55 billion and €75 billion. In addition, the group, which has a debt of €33 billion, is facing several other difficulties, not least that it is committed to funding two thirds of the estimated £22.3 billion cost of the new-generation European pressurised reactors being built at Hinkley Point. A similar reactor at Flamanville in northern France was meant to cost €3 billion and come on stream in 2012. The reactor is still not operating and the budget has reached €10.9 billion. Last week, it emerged that experts had advised that EDF should repair faulty weldings at Flamanville, which would add hundreds of millions of euros to the bill and lead to a further delay. EDF continue to try and get a financing model that will allow Sizewell C to be built. But will the government wear it on behalf of the consumer considering the promised price at Hinkley Point C is well over current commercial rates? Legislation would be needed and it might still be considered as state aid, causing further issues whether we are in or out of the EU. The nuclear authority in France may well request repair of defective welds or require further safety studies to ensure their reliability. It appaers that the permanent group of experts at the Nuclear Safety Authority (ASN) observed that the severity of the defective welding could further delay the project by months or even years. Some welds have proved to be non-compliant with the “high quality” standard set by EDF in their quality plan. Others do not even meet the accepted standard regulations for welds in these type of systems. Costs have risen from 3.5 billion euros to 11 billion euros and the start date for connection to the electricity network has been put pack from 2012 to at least 2020. Meanwhile in Finland, fuel loading at the reactor has been delayed a further 2 months from June to August 2019 due to preparation works not running to schedule. The reactor was originally scheduled to beging generating in 2010 and is now nine years behind schedule.